The Kinzua Dam generating station of First Energy, located in Warren, Northern Pensylvania, has completed a project to replace an aging supervisory system with an all new digital VM600 system, designed, tested and commissioned by Zeefax. 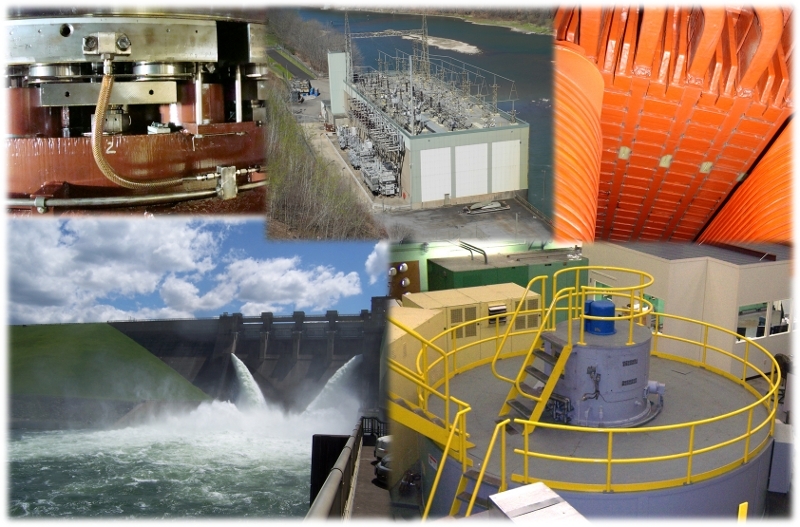 This is a 3 unit pump/storage hydro turbine power plant, located in Warren, Northern Pennsylvania. The plant has two main units rated at 225 MW each, and a smaller black start unit rated at 35 MW. Zeefax designed, tested and supervised the installation for this VM600 based replacement protection and condition monitoring system. The scope of supply included supplying new thrust probes for the two large units, and a full set of probes for the unmonitored unit 3, as well as the supply of the Air Gap sensors from Vibro-Meter for all units. Due to a lack of up to date information, it was necessary to reverse engineer some of the mechanical items, including the probe holders for Unit 3. The two large units can operate in either generating or pumping mode, and the new system included an innovative automatic key phase switching device which effectively separates the two operating modes in the database, making analysis and diagnostics much simpler for the First Energy machinery engineers.